illustrations 176 Would you like to know: * when and why we laugh? * how food can affect your brain? * what it's like to fight a forest fire? 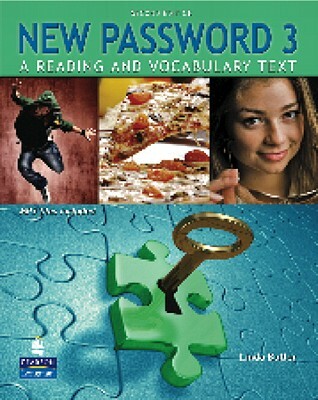 New Password 3: A Reading and Vocabulary Text is the third book in the newly expanded five-book series. It helps intermediate students develop reading skills and increase their active vocabulary through engaging readings about real people, places, events, and ideas. Students benefit from a systematic, corpus-informed approach to learning more than 300 high-frequency words, expressions, and collocations. Features * Useful, high-frequency vocabulary selected through extensive corpus-based research* Careful recycling of vocabulary in readings and exercises* Activities that highlight collocations and word grammar* Discussion and writing activities that reinforce learning* Unit wrap-ups that help students review vocabulary and practice dictionary skills* Vocabulary self-tests that help students assess their progress The Student Book comes with an Audio CD-ROM containing the entire Student Book audio program in MP3 format. There is also an edition of the Student Book without the Audio CD-ROM; click on the Resources link on the left side of this page.